This is an ideal opportunity to acquire development land extending to approximately 3 acres ideally located in the village of Leswalt, within a few minutes walk of all local amenities, including shop, primary school and tea room. The ferry town of Stranraer is some 2 miles distant and offers a wide range of shops, banks, schools and medical services. 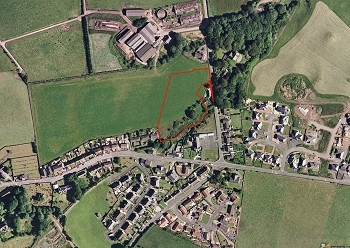 Ideal opportunity to acquire development land extending to approximately 3 acres with Planning Permission for the erection of 11 detached 1½ storey dwellings, each occupying a generous plot in this quiet cul-de-sac. 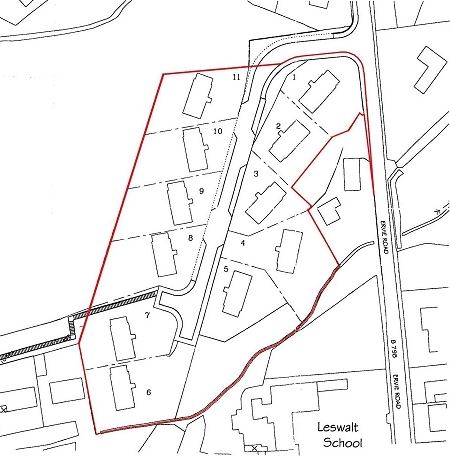 Outline Planning Permission has been granted for the erection of 11 detached 1½ storey dwellings, each occupying a generous plot in this quiet cul-de-sac. Full details of the Outline Planning Permission and relative papers will be made available to genuinely interested parties. Local Authority - Dumfries & Galloway Council, Ashwood House, Sun Street, Stranraer, DG9 8JJ (Tel: 01776 888467). Mains water, electricity and drainage are located nearby. Offers in the region of £450,000.